Do you know what’s driving consumers in this period of rapid food system disruption? Their behaviors, beliefs, values, fears and unspoken motivations? Finding out is now easier and faster than before. What emotions are really behind concern about the use of antibiotics in animals? What’s driving the conversation behind food technologies? What is the top fear of those who consume traditional milk? It’s a new evolution in CFI consumer trust research. 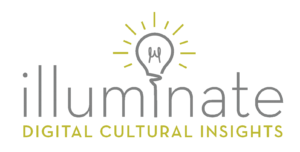 Each month, CFI members receive comprehensive Illuminate™ Digital Cultural Insights reports with results and exclusive members-only analysis that allows them to stay ahead of the curve on critical topics and engage the most influential consumers where they live online with information that earns trust. Whether you’re a member or not, CFI can tailor an Illuminate™ report to the topics that matter most to you. Terry Fleck, CFI executive director, would be happy to connect with you to discuss the possibilities. Email Terry Fleck or call (816) 556-3140.